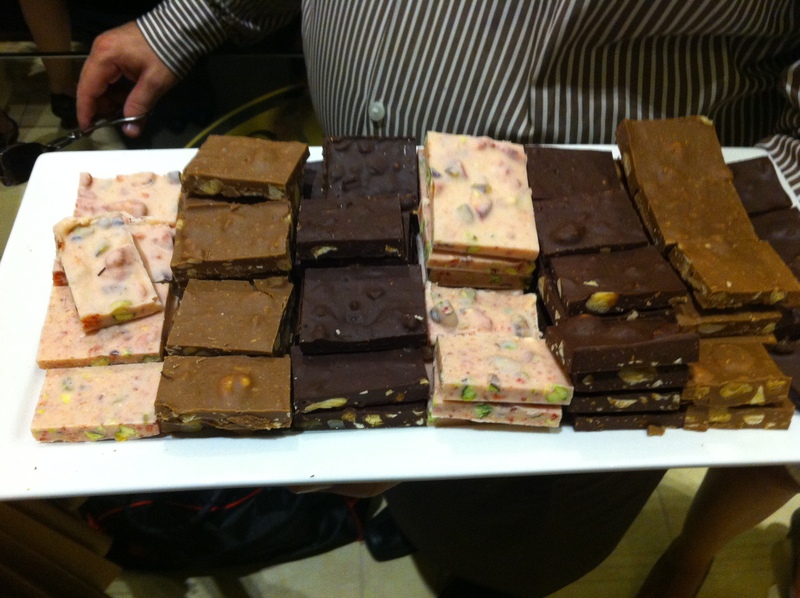 What is it about writers and chocolate? With a name like Kandy, I was predestined to have a sweet tooth, and chocolate is my favorite sweet treat by far. But I don’t have to look far among my author colleagues to find an abundance of writerly chocoholics. Who knows? I’m not really looking for an explanation—more likely an excuse for the scatterings of chocolate wrappers around my desk! Being a self-confessed chocoholic, I didn’t hesitate to accept an invitation to the “chocolate carpet” launch of the Lindt Chocolate Café concept at the site of the original Martin Place site in the heart of the city of Sydney, Australia. Okay, so the carpet was actually red, not chocolate, but the second my “plus one” daughter and I got inside we were surrounded by chocolate, chocolate, chocolate! I’ve visited the Lindt Café before (what self-respecting Sydney chocoholic hasn’t!) but now it looks quite different. The most prominent new feature is the Maître Station where you can watch the Lindt Master Chocolatiers at work creating their delectable creations. The scent of so much chocolate so close is intoxicating! 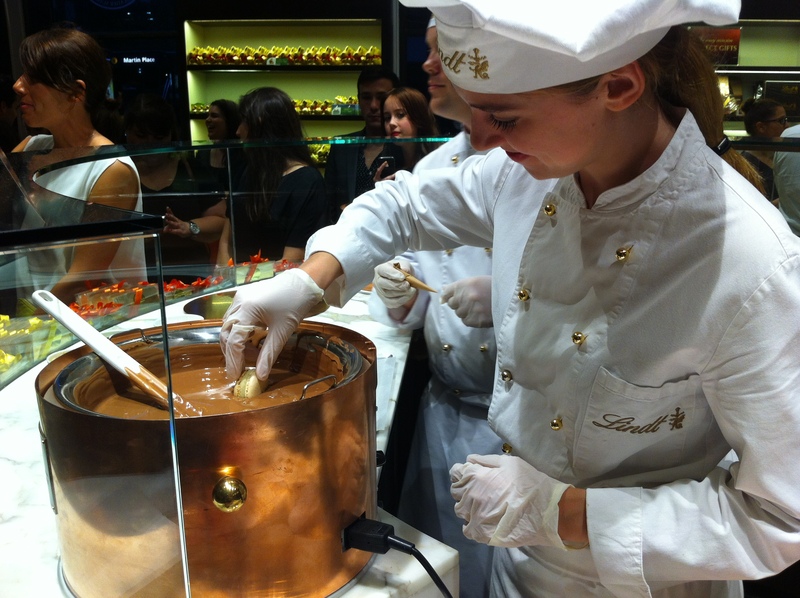 There’s also the Chocolate Tap, an outsized metal tap from which Lindt Chocolate copiously flows. I nearly swooned! 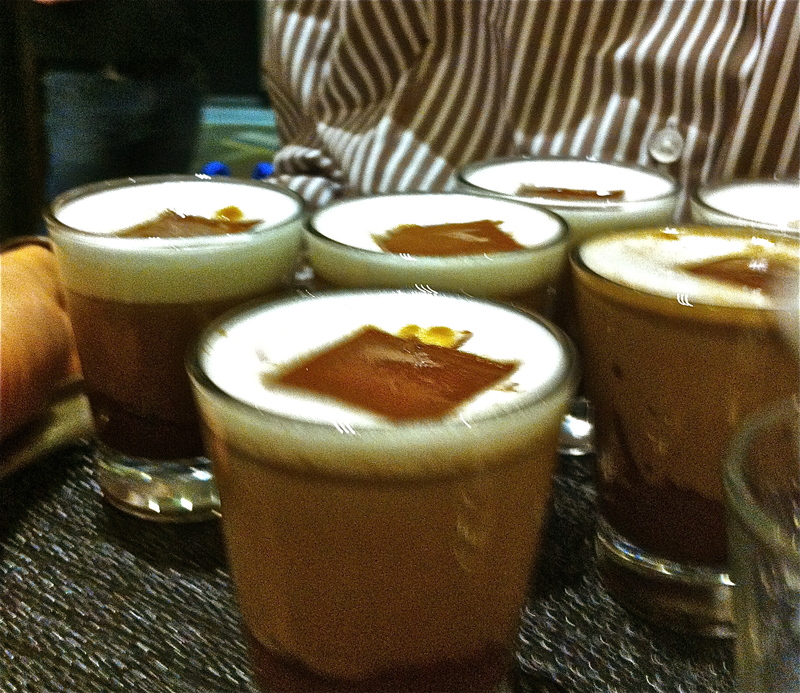 On the launch night, the baristas made use of the chocolate tap to create potent chocolate shots, as well as Mocha Macchiato comprising dark chocolate, milk and espresso coffee topped with a chocolate shard. Highlights of the evening? 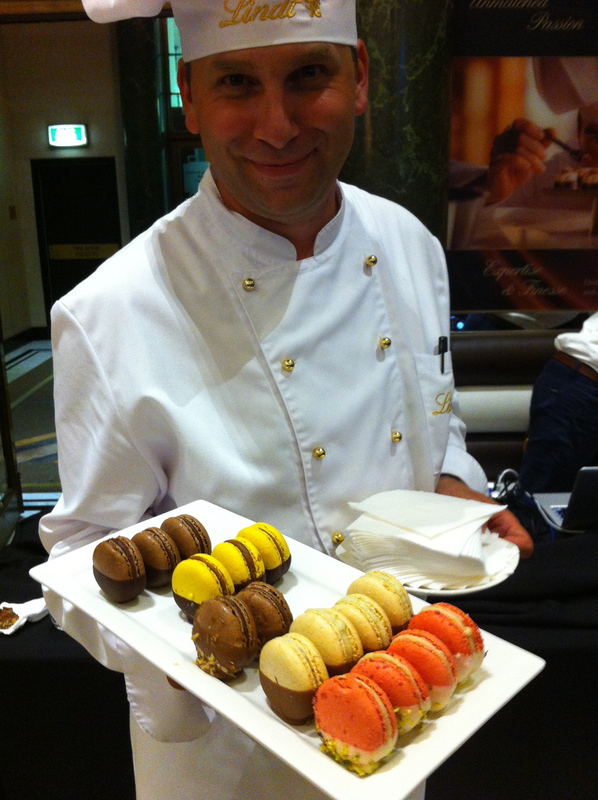 Meeting Lindt Australia’s charming Swiss-born Master Chocolatier, Thomas Schnetzler; taste-testing experimental new chocolates; and eating the best-ever macarons, which Lindt calls délice. I also watched, amazed, as a fellow guest emptied out some of the abundant displays of Lindor Balls to fill a bucket to take home. Who could blame him! 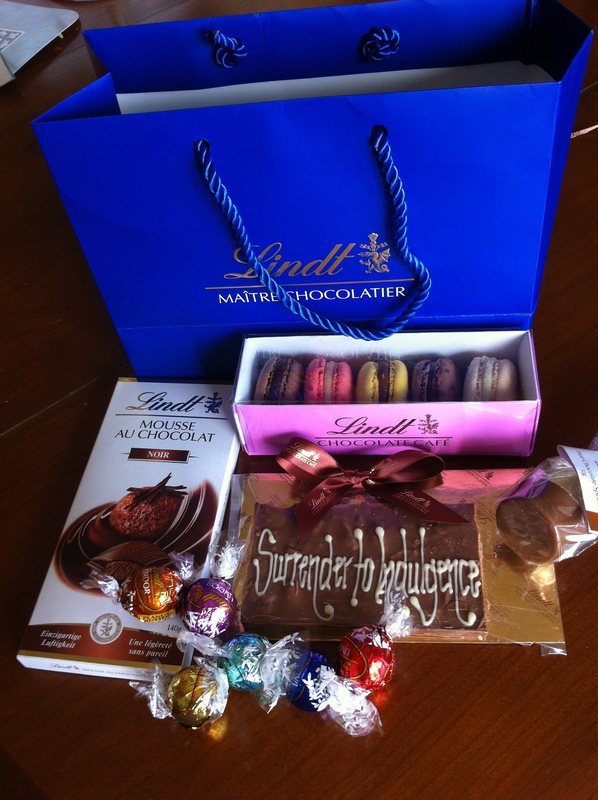 We went home with a goodie bag which kept the Lindt experience going for several days afterwards. 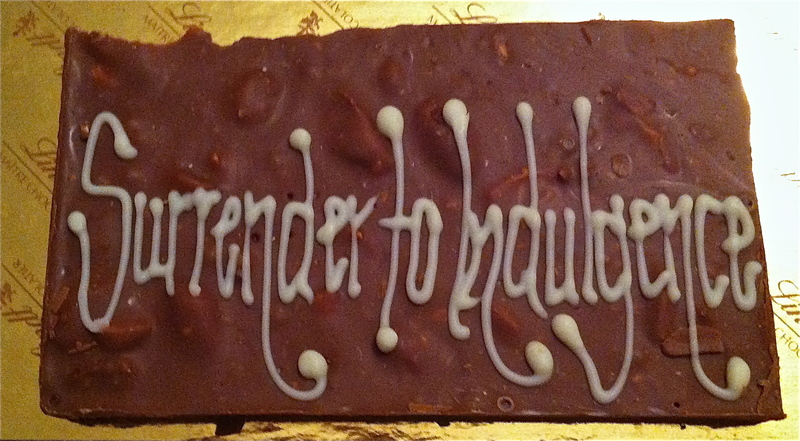 I didn’t need to be persuaded to “Surrender to Indulgence”! Oh, and my beautiful university student daughter had her photo taken for a foodie blog and the Sunday newspaper social pages—she was beyond thrilled! Kandy Shepherd writes fun, feel-good fiction. Her new release is the contemporary women’s fiction (aka chicklit!) Reinventing Rose, where the main character indulges in chocolate at the merest hint of feeling down! Kandy’s romances include The Castaway Bride, Something About Joe, Love is a Four-Legged Word and Home Is Where the Bark Is.